This is a flavor-packed dish that speaks versatility. It is gluten-free. 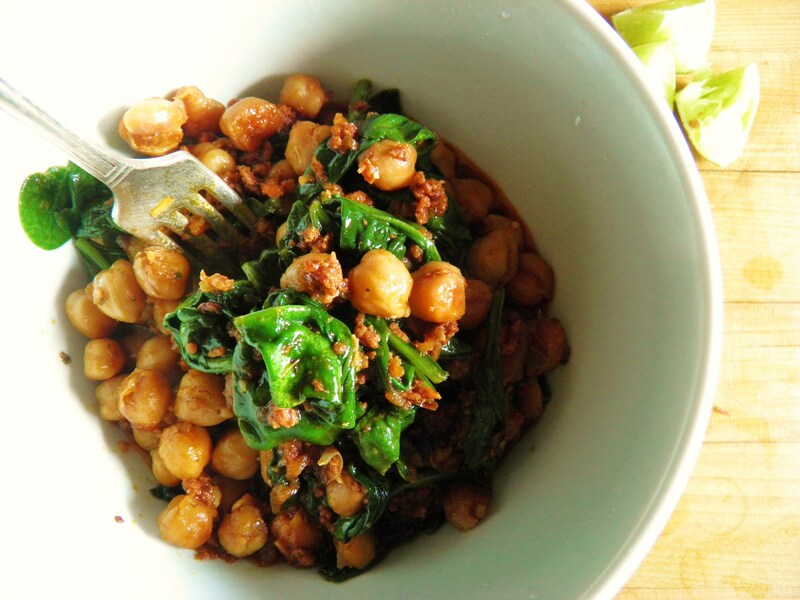 You can change up the chorizo to vegan chorizo, if that’s how you roll. You can put a couple of slices of avocado on top or a poached egg to make a kicked up breakfast. It makes a great lunch or side dish with something grilled. You can use the leftovers as filling for tacos or wraps for lunch. You can make this as spicy as you want. Finish with a squeeze of lime. Over medium heat, heat up saucepan. Add olive oil and then crumble chorizo into pan. Break up with spatula. Cook until onions are translucent and chickpeas have browned. Add Massel beef style broth and cook down. Let the liquid reduce in half. Stir in spinach. It will wilt as you stir it in. Taste and adjust to your desired heat level with salsa or hot sauce.